In the performance class between 380 and 500 hp, the series with the top tractor, 1050 Vario is considered the new pulling force for the worldwide tractor market. Wiking provides a convincing replica with the compact design of chassis and new 'x5 S' cab. The 'x5 S' offers greater comfort in the cab environment. 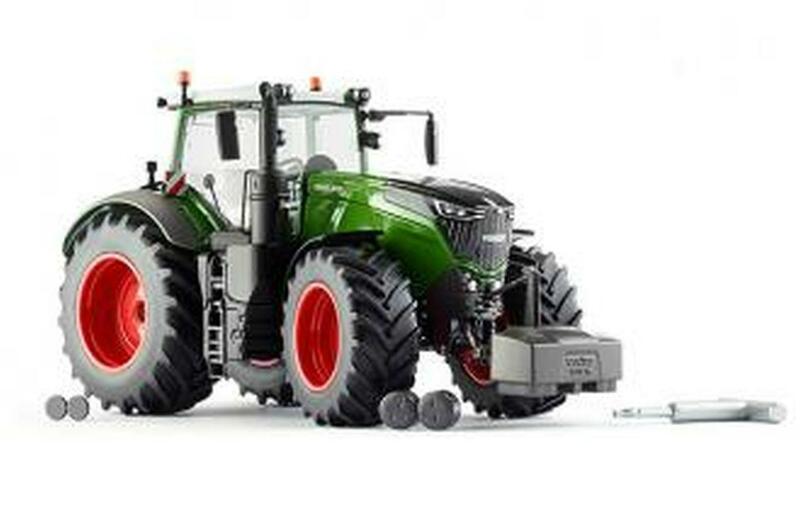 Due to the size of the Fendt 1050 Vario and the operator's elevated seat position, the side and front windows have again been lowered for optimal lines of sight. For the first time, in the interior the driver seat is a folding design. The widened operator door to the cab, as well as the large cab window, can be opened. Like the prototype, the entry and exit steps are designed to be folded away in everyday use. The fact that lighting is becoming ever more important for tractor manufacturers is substantiated by the work lights on the roof of the cab that are finely detailed by WIKING. 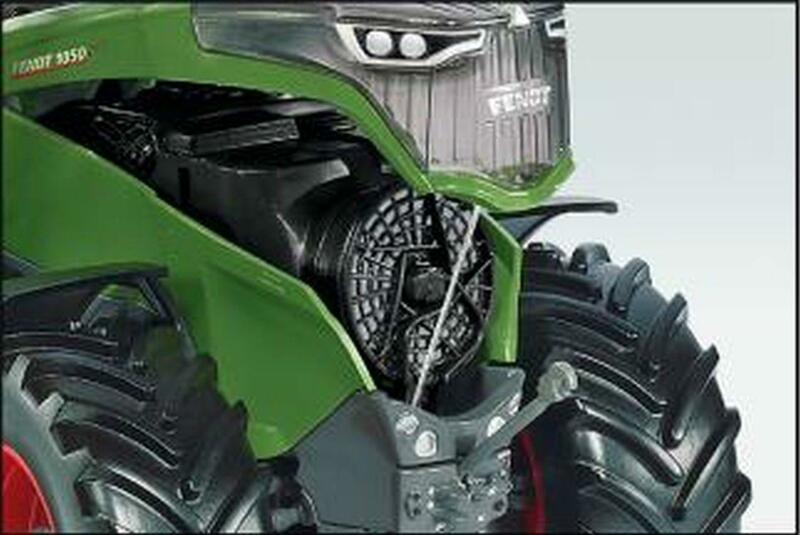 The steering function from within the opened cab provides the perfect impression of maneuverability for the collector. Exterior rear-view mirrors and rotating beacon are likewise individually variable. 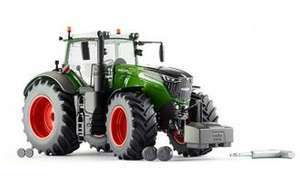 The integrated hood lights give the 1:32 series of the Fendt 1000 Vario a new design. A particular model-making highlight is the miniaturization of the engine hood, which, in addition, is secured manually by belts. 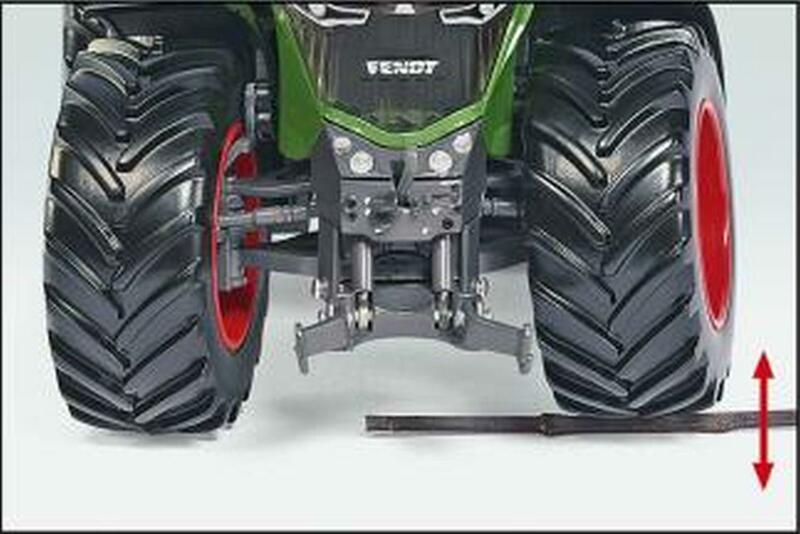 The rear hitch is flexibly recessed and suitable for the towing eye of drawbars for agricultural machines. 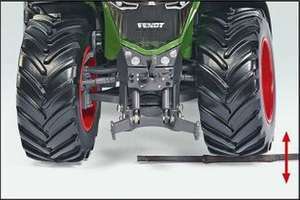 The lower link offers movable utilization for the front as well as the rear hydraulics. The variably-designed upper link of the rear hydraulics system is now extensible in its length. The implement is hooked in at the end of the upper link, while the piston ensures the desired orientation of the implements of the agricultural machine through a combined engagement. Thanks to this feature, it is possible to easily hook a broad range of implements to the tractor and to adjust and fix their position. The wheels of the swing axles can be dismounted with the provided tool, and can be replaced with other tires as desired. A magnetic cover conceals the screw position of the hubs front and rear.